Laptop computers are so compact you can carry them around. A notebook is smaller and lighter than a laptop, though many people use the terms interchangeably. Book size computers are smaller still. Tablets are smaller still. PDAs (Personal Digital Assistants) are the smallest. They work even when you don’t have access to power. When they are plugged into the wall, they carry on working, even if there is a power outage or power dip. It is harder for others to snoop on what you are doing by monitoring the radio waves your computer gives off. They use less power than desktop computers. They cost about twice as much for the same computing power. Spare parts are perhaps four times as expensive as for desktops. They may not be available since you cannot use generic parts. The keyboards tend to be small with missing keys. You have to look at the screen from a certain angle to see the picture. This makes it hard for two people to see the screen at once. The flat LCD (Liquid Crystal Display) screens usually have lower resolution and brightness than desktop monitors. Laptops are often missing CD-ROM (Compact Disc — Read Only Memory) s, large hard disks, sound cards or modems, things you take for granted in desktop computers. Adding missing pieces is more expensive and may not even be possible. They are not very expandable. Any expansion you do will require a part custom fitted for your particular model. This will cost you four times as much as a generic part. They are much harder to service. You will have to take them to an authorised dealer for your model. This is first and foremost a very inexpensive computer. It is very stripped down, light weight, only 1¼ kg (2.76 lbs), primarily designed to be portable. It has a mere 2 MB of RAM. Battery life is 8.5 hours. It has a small 11.6” screen. 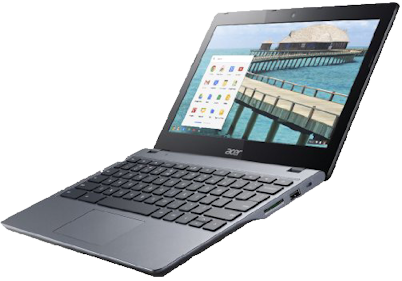 It has a relatively sluggish 1.4 GHz Intel Celeron processor. It has no hard disk at all, but it has a 16 GB SSD, which is faster, quieter and uses less power than than a hard drive, but has a microscopic capacity. 32 GB model also available. It has built-in WiFi. You could use this machine to take notes, or browse the web where you have WiFi access. Don’t even think about trying to run things like Adobe Photoshop or IntelliJ. There is no room on it for storing videos or music. Specs. This is a remarkably inexpensive, but more than adequate laptop. Weighs 2.40 kg (5.29 lbs). 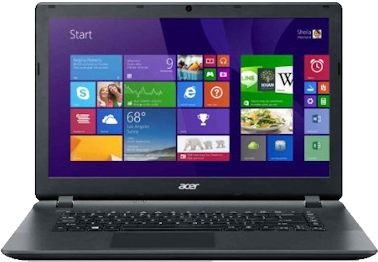 It has a big screen, reasonable 2.16 GHz single core Celeron CPU, Adequate 4 GB RAM. Huge 500 Gb hard disc. 4.5 hour battery life. Acers are nice vanilla machines that work with perfectly standard Windows. Has built-in WiFi. The Acer keyboard is the thing you are least likely to like, but that is true of almost all laptop keyboards. It costs ten times what a comparable desktop does. Weighs 2.04 kg (4½ lbs). 16 GB RAM. No hard disk, but has enormous 512Gb SSD. 2.3 GHz Intel quad-core processor. 15.4-inch retina display 2880 × 1800. 8-hour battery life. specs. Shop around, you might save 60%.